Bacardi has defended its most recent Havana Club ‘Forever Cuban’ campaign after rival Pernod Ricard claimed it was “misleading” given that its rum is made in Puerto Rico, as a long-running battle between the two over the Havana Club trademark rumbles on. The two groups have been battling over the trademark of Havana Club for decades, with both companies fiercely defending their claim on the brand. Pernod Ricard owns the international rights to the Cuba-made Havana Club brand outside of the US due to the country’s ban on Cuban imports, which has been in place since 1961 when the Cuban revolution led to communism. The French drinks group owns the Havana Club brand in partnership with Cubaexport – an agency under the Cuban government. Bacardi meanwhile has been selling its own brand of Havana Club rum, made in Puerto Rico, in the US since the mid-1990s. The group acquired the US rights from Havana Club’s original founders, the Arechabala family, who had fled Cuba in the 1960s after their company’s assets were seized by their country’s government. However, in February 2016, the US Patent and Trademark Office (PTO) renewed the trademark of Pernod Ricard’s Havana Club brand in the US for the next 10 years, sparkling a legal challenge from Bacardi over the trademark in that market. Despite the renewal, Pernod and Cubaexport are still unable to launch the Havana Club brand in the US due the ongoing ban on imports between the US and Cuba. 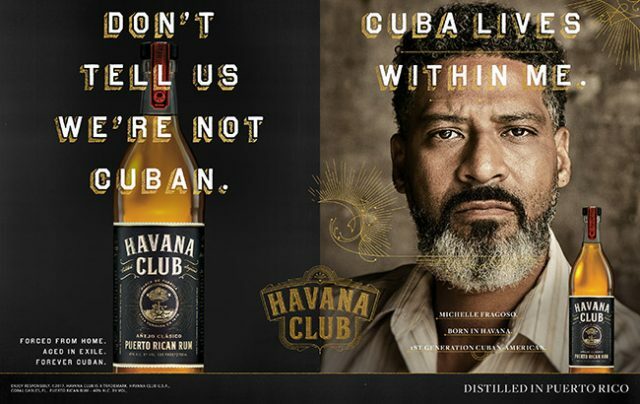 The feud was intensified following the launch of Bacardi’s ‘Forever Cuban’ campaign for its Havana Club rum in the US late last year, with Pernod Ricard accusing the Puerto Rican-based rum producer of including “misleading statements” stating: “Havana Club International stands firm and clear about the authenticity of its rum portfolio – which includes white and dark aged rums that are exclusively and wholly produced in Cuba. “Havana Club rums are distributed globally except in the USA, due to the ongoing trade embargo. The Forever Cuban campaign, recently launched by Bacardi to promote its Puerto Rican rum products in the USA under the name Havana Club Rum, contains a number of misleading statements, the most obvious being a false claim to be the original Havana Club rum. “The real Havana Club rum, produced through a joint venture between Cuba Ron S.A. and Pernod Ricard, is crafted in Cuba, from cane to glass, using the knowledge and expertise passed down from generation to generation of Maestros del Ron Cubano. As such, it is a 100% authentic Cuban rum. The “Forever Cuban” campaign features Cuban-American actor, Raul Esparza, reciting “Island Body,” a poem written exclusively for the campaign by Cuban-American poet and author, Richard Blanco. It draws on the experiences of Cuban exiles and includes the tagline “forged from home, aged in exile, forever Cuban”. This week, Bacardi defended itself against claims that its campaign is “misleading” accusing Pernod of having profited, along with the Cuban government, from a “stolen trademark”. “Pernod Ricard and the Cuban dictatorship have perpetuated a lie since they began their collusion in 1993, and continue to do so today,” it read. “Since Pernod will not share the true story of Havana Club Rum with their consumers (and with the world), we will. “In 1959, Cuba’s communist revolutionaries confiscated and nationalized the Havana Club distillery and exiled the Arechebala family, who created Havana Club in 1934. While the revolutionaries seized the distillery and trademark by force, they could not steal the recipe or the expertise that it took to produce Havana Club. That expertise left Cuba with the Arechebala family when they were exiled from their homeland. In 1994, Ramon Arechebala passed the Havana Club recipe and production techniques to the Bacardi Family – who are also Cuban exiles – so that they could preserve the legacy and allow the brand to live on. “Cuba’s revolutionaries confiscated and nationalized many family businesses. They imprisoned those who resisted, and tortured those who opposed them. But they did not know how to produce or distribute rum. In 1993, the Cuban regime found a willing partner to help them profit from their stolen trademark – French liquor conglomerate Pernod Ricard. Since then, the Cuban government and Pernod Ricard have generated millions of dollars by selling an imposter rum poured into a bottle and marketed under a stolen name. The Cuban government(?) confiscated Bacardi.